During the Depression of the early 1930s, the price of gold rose from £4 to £8 an ounce. The conditions of the times and the massive price rise caused a mining revival throughout the State. The key company in the mining revival at Daylesford was the Maxwell Consolidated. This company was vigorously prospecting in 1936 and by 1938 had installed a large mining and crushing plant. Rich crushings in the same year enabled the company not only to pay off a joint State and Commonwealth prospecting loan, but to distribute a small dividend to its shareholders. The following two years brought more success: £13,743 distributed in dividends in 1939, and £27,486 in 1940. The profits enabled the company to install more plant, including a cyanide works. The company's production declined in 1941, and from this time until its close in the early 1950s it was engaged in unproductive developmental work. The Maxwell Consolidated Gold Mine is of historical and scientific importance to the State of Victoria. The Maxwell Consolidated Gold Mine is historically and scientifically important as a characteristic example of an important form of gold mining. Gold mining sites are of crucial importance for the pivotal role they have played since 1851 in the development of Victoria. As well as being a significant producer of Victoria's nineteenth century wealth, quartz mining, with its intensive use of machinery, played an important role in the development of Victorian manufacturing industry. 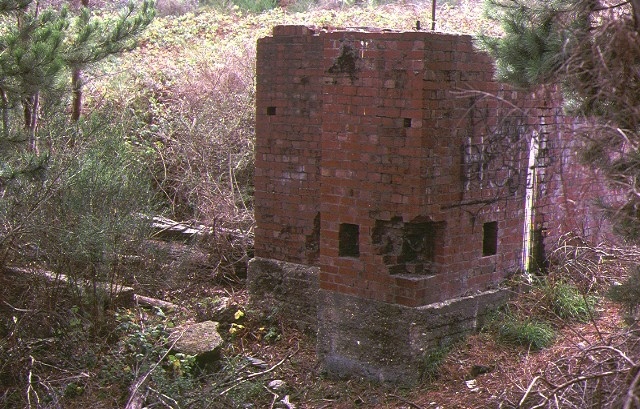 The site stands has extensive and well preserved foundations and, as such, is a fine example of 1930s mining revival technology. The surviving plant at these mines form an important reference point for an understanding of the technological history of gold mining. Maxwell Consolidated Quartz Gold Mine, Daylesford-Hepburn Road, Doctors Gully, Daylesford, Hepburn Shire Council. 1. All of the Crown land including the remnants of mining and ore-treatment machinery foundations, cyaniding works, earthworks and any archaeological objects and deposits within a radius of 150 metres of a point with Australian Map Grid co-ordinates E464 N650 on 1:100,000 map sheet number 7723 Castlemaine.